Those days are drawing to a close. Last year, venture investors backed more than 245 startups in shipping and supply-chain management, a record number worth at least $4 billion, reports business intelligence firm CB Insights. AngelList tracks 420 shipping startups (not all international), as well as hundreds more in logistics and supply-chain management. While domestic logistics is being rapidly transformed by robotic warehouses, autonomous trucks, and on-demand services such as Uber, DoorDash, and Amazon Prime, the unglamorous world of international freight has remained largely a rolodex affair. A single shipping transaction may involve 28 different entities including customs, terminals, forwarders and carriers, reports Lloyd’s List, a marine intelligence firm. Many of these interactions still happen by email, phone and manual data entry, generating reams of paperwork. Startups spy an opportunity. “Our competition is [Microsoft] Excel and email,” says Renee DiResta, co-founder and director of marketing at logistics startup Haven which builds software to replace today’s workflow. Haven, which raised $13.8 million in venture capital, is automating a quoting, booking, and shipping process in which setting a price for customers can take days. By accessing data about trillions of dollars in goods shipped around the world, Haven plans to help create an open, transparent shipping market that can be automated and optimized with machine learning. The efficiencies couldn’t come soon enough for an industry that just weathered its worst year in a decade amid a wave of consolidation. The losses prompted shippers like the Danish line Maersk to announce last year that “everything that can be digitalized will be digitized,” Jane Porter, an editor at Lloyd’s List, said in an interview. “Everyone else is playing catchup.” Last year, Maersk embarked on an internal reorganization to prioritize digital solutions, and plans to experiment with selling container slots on Alibaba, building new software and possibly acquiring technology startups. The industry, long fixated on building bigger ships, is now turning its attention to the back office and customer experience. But designing new technology has proved challenging. In 2011, DHL spent $1 billionmodernizing its own freight forwarding software, a failed effort that had to be written off four years later. Such efforts are nothing new. Lloyd’s describes half a dozen attempts to digitize the industry that have foundered since 1998 because carriers never bought into the idea that they had to change their business processes, not just technology. That’s different today, says Porter. 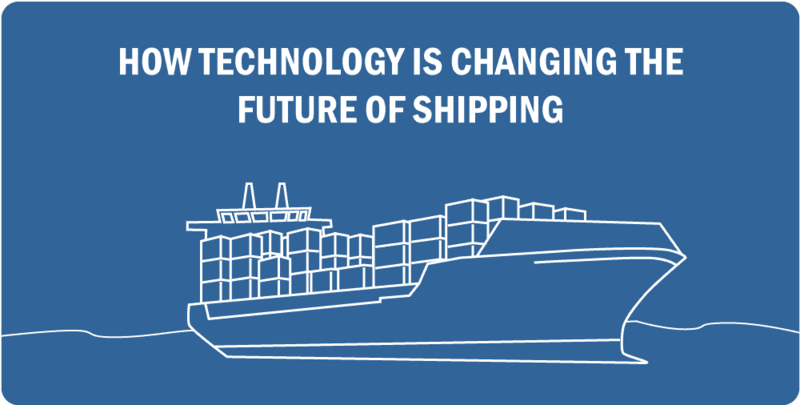 Maersk’s announcement last December has made finding new digital solutions a matter of competitive survival. “That has been the wakeup call for whole rest of the industry,” Porter says. Silicon Valley investors are betting startups will solve this problem. Companies like Haven, Turvo, and Flexport argue their cloud-based solutions will displace shipping and logistics companies’ SAP and Oracle software the same way Salesforce has grown to dominate sales and marketing solutions. If they’re right, they could fundamentally accelerate global trade. The shipping container is a case study. The standardized metal box helped send costs down and global trade soaring by 700% over 20 years, researchers estimate (pdf), more than any international trade agreement. Within a few decades, the number of new products in countries like the US had quadrupled. Just as importantly, manufacturers whose only advantage was proximity to ports or customers were no longer protected: Malaysia could suddenly compete effectively with New York, reports The Economist reporter Marc Levinson (pdf). By the end of the 20th century, purely local markets for goods had become rare. Software may remove massive delays and inefficiencies in an industry moving 180 million containers around the globe every year. If so, more than a trillion dollars in cheaper goods will arrive faster at ports around the world.